Have you asked this question recently, “What is Digital Marketing?” Do you want to know how websites are shown when you search for something on Google? While browsing on the internet you must have noticed a lot of advertisements on different websites, search engines, emails, blogs or seen those pop-ups asking for your email and might have become curious as to how does all this happen? Do you want to get behind the scene and be the one who runs the show? If yes, a bright career in Digital Marketing is waiting for you. Digital Marketing is a fast evolving industry where you have to constantly remain updated on the latest trends and changes happening in this industry. To kick-start your career in Digital Marketing industry you must have a curious mind and an ability to learn and unlearn at the same time. If you want to break into this industry, there is no better time than right now when the government is encouraging the start-up culture in India. The prospects are bright for entrepreneurs and job seekers alike. 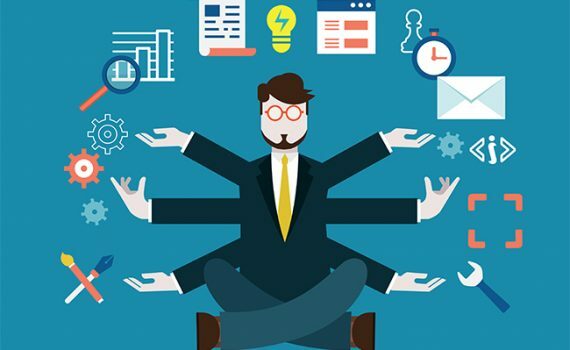 As a digital marketer you will need to understand the various aspects of Digital Marketing like search engine optimization – which is the art of getting a website ranked high in search results or beating your competition through getting your ads placed correctly on the right digital platform through Adwords. If you love analytics and love crunching data to improve results then web analytics is the best option for you. This is a vast field with options to specialize in search engine marketing– advertising, PPC, etc., search engine optimization, email marketing, content marketing, content writer, social media marketing, lead generation, inbound marketing, web analytics and a lot more. You can search for the above mentioned fields and start reading different blogs. The simplest way is to create your own website or blog, which can be done for free, and start applying all that you have learned on your website. The digital marketing industry is still young however there are experts who can train you for a career in Digital Marketing. The world today is getting digitized in almost every respect. Companies are hungry to create a digital presence. Digital Marketing with its instant response, outreach, flexibility, laser sharp targeting, cost-effectiveness and convenience is complementing the traditional marketing and is creating unheard stories of internet successes. Needless to say Digital Marketing is a booming industry and provides a great career option. In India alone there will be 15-20 lakh jobs created in this field by 2018! More and more companies are shifting from traditional marketing to digital marketing. Organizations have realized that reaching out to customers through digital media is the need of the hour. Depending on traditional marketing is not enough. Everybody wants a share of 350 million strong internet user base in India which is growing exponentially every year. Digital presence for any company or brand is extremely important in the current times. The reason is that digital platforms allow for a far greater outreach enabling personal interaction with real time responses. The impact that a digital campaign can have is far more effective than traditional marketing, that too at a fraction of the cost of traditional marketing. As per a study Digital Marketing Industry is worth $62 billion and is growing steadily, creating a high demand for Digital Marketing professionals. Companies are now interested in running integrated digital marketing campaigns. This is a vast field with different segments like SEM, SEO, Social Media, Content Marketing, Web Analytics, and a lot more. It is important to have a basic knowledge of every aspect; however, specialization in any one area can lead to exponential growth. There is a huge gap in demand and talent available in this field. Companies are frantically looking for talented professionals who can think out-of-the-box solutions for digital campaigns. Don’t miss out on this opportunity. 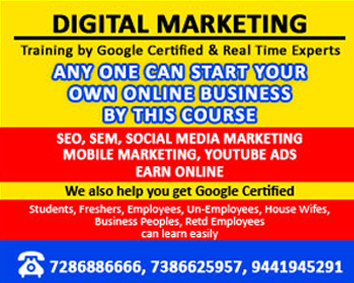 Become an industry ready professional by learning this course from Vizag School of Digital Marketing. Become a digital guru today!